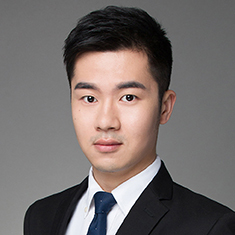 Jason Zhang is a China Legal Consultant in the Shanghai office of Katten Muchin Rosenman LLP. His working languages are English and Chinese. His practice focuses on private equity, foreign investment, merger and acquisition, and venture capital. He has represented clients in establishing foreign-investment enterprises, and advising intellectual property, commercial contract, compliance and labor and employment matters. Prior to joining Katten, Jason worked in three famous domestic law firms' Shanghai offices as an intern. In 2014 Jason graduated from East China University of Political Science and Law with an LLB Degree, and graduated in 2016 from East China University of Political Science and Law with an LLM Degree, majoring in International Economic Law, Company Law and Security Law during his undergraduate and postgraduate study. He passed the Chinese Bar in 2013.